Is traditional economics really dying? I read this article and found it very interesting, thought it might be something for you. 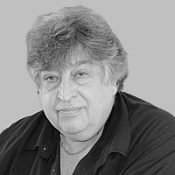 The article is called Economist Herbert Gintis: Where New Economics Meets Old and is located at https://evonomics.com/new-economics-with-tradtional-economics/. There have been two major contributions to economic theory in my lifetime. One is behavioral economics. The other is evolutionary economics. The revolutions induced by these new approaches are by no means complete. Their ramifications are still being worked out in the professional economics journals. Behavioral economics abandons the traditional notion that rational choice alone can explain human behavior in favor of patterns of choice that are inferred from laboratory and field studies of actual human subjects. Evolutionary economics views the economy as a dynamical evolving system that can be modeled using the combined tools of economic and biological theory. Evolutionary economics treats individuals as the product of their biological and social history, and so fits in well with behavioral economics. Many behavioral and evolutionary economists consider themselves allies in a battle against the principles of traditional economic theory, and many supporters of traditional economic theory share this mind set—except that they are on the other side of the conflict. This oppositional mind-set is profoundly incorrect and leads to serious errors both in developing economic theory and presenting it to the general public. The most creative behavioral and evolutionary economists remain inspired by the successes of, and consider their work as extensions of traditional economic theory. The most creative supporters of traditional economic theory, in turn, embrace behavioral and evolutionary perspectives and build on its insights. In this article I will suggest the proper way to treat the new economic theory in relation to the old. I encourage readers to offer significant critiques of or additions to my comments. We can conveniently partition traditional economic theory into four related parts: (a) general equilibrium; (b) comparative statics; (c) dynamics; and (d) economic policy. General Equilibrium: The basic model of the market economy is the so-called general equilibrium model, in which there are households who own the factors of production (land, labor, capital, resources) and firms that rent these resources from households (they hire labor and borrow capital), and produce goods and services that they sell back to the households. The economy is in equilibrium when the price structure for goods, services, and factors of production is such that supply and demand are equal in all markets. This is called market-clearing. The firms are owned by households, whose wealth consists of a portfolio of shares entitling them to a portion of the profits of each firm. There is no presumption that this wealth is equally distributed. In equilibrium, firm profits are equal to the return, at the equilibrium interest rate (corrected for risk) on the firm’s capital stock, which is then distributed to the owners of the firm, who are also households. In the 1950’s, world-famous economists showed that, with rather minimal assumptions, there always is a general market equilibrium. That is, for any distribution of wealth, preferences of households, and production technologies, there always exists a set of prices at which all markets clear, each household maximizes its utility given its income and wealth, and each firm maximizes profit at the stated prices. With slightly stronger assumptions, they proved the so-called First and Second Welfare Theorems (“welfare” in economic theory means well-being, not payments to the poor). The First Welfare Theorem says that a market equilibrium is efficient in the sense that no individual can be made better off by redistributing payoffs without making at least one other individual worse off. This means that no alternative to the market system could improve the economic position of one group without worsening the economic position of other groups. If there are market failures, as I discuss below, this theorem is false, and it is possible for market intervention to make everyone better off. The Second Welfare Theorem says that every feasible distribution of payoffs to individuals can be supported by some initial redistribution of wealth and some set of prices such that these payoffs are attained in a market equilibrium at these prices. This means that whatever degree of economic equality one desires, if it can be achieved by any method at all (e.g., state planning, communal production boards), it can also be achieved simply by redistributing wealth followed by implementing a market equilibrium. This theorem is practically useless because governments cannot redistribute wealth in violation of principles of justice and law, some forms of wealth, such as education and skills cannot be re- allocated at all, and the informational requirements for such a redistribution are absurdly strong. Comparative Statics: This is the study of the effects of a change in an economic parameter (for instance, a tax rate, a wage subsidy, or a pollution control measure) on general equilibrium prices and quantities in the whole economy. A real-world economy is never actually in general equilibrium, but usually economies hover around equilibrium in most sectors most of the time. The stress on economic equilibrium is often criticized, but it is no different from the treatment of equilibrium in physical systems. Before analyzing the disequilibrating factors in a dynamical system, we must understand thoroughly the equilibrium points of the system. Therefore in many cases comparative statics is the preferred way of analyzing proposed changes in regulating the economy. Traditional microeconomic economic theory is at its best in analyzing general equilibrium and comparative statics. Behavioral and evolutionary economics have as yet neither altered nor added to our understanding of general equilibrium and comparative statics. Economic Dynamics: When the economy is not in equilibrium, how do we describe the behavior of prices and quantities? It is here that traditional economic theory has the least to offer. Microeconomic theory has virtually nothing to say about market dynamics when there is more than a single good. For about a decade in the mid-Twentieth century, the most powerful mathematical economists in the world worked on developing a dynamics for general market interaction, but failed rather spectacularly—see my paper “The Dynamics of General Equilibrium,” Economic Journal, 2007 or my forthcoming book, Individuality and Entanglement, Princeton University Press, 2016. For this reason, economists invented wholecloth a theoretical framework for dealing with economic dynamics that has nothing to do with the microeconomic model of general equilibrium. They call it macroeconomics. Macroeconomic theory is supposed to tell us how to smooth out fluctuations in business activity over time and how to avoid crashes and bubbles. But because it includes no cogent model of market dynamics, it has proven itself incapable of designing regulatory principles that jointly promote economic stability, efficiency, and growth. It is widely taught in economics departments and policy makers pay attention to it faute de mieux, but it is frankly virtually worthless, except in the very short run, where the near future can be reliably forecast from the recent past. The reason for failure of traditional macroeconomics is that without a theory of multi-market dynamics, macroeconomic dynamical theory must assume there is in effect a single market. The first well-known macroeconomic model, John Maynard Keynes’ General Theory, was a theory of persistent unemployment. His model consisted of a few equations with one good representing all goods, one consumer representing all consumers, one type of labor representing all types of labor, one capital good representing all capital goods, and one production process representing all production processes. The dynamics of this system had no obvious relationship to the dynamics of a real economy with thousands of goods, millions of consumers, dozens of types of labor, and tens of thousands of firms. It was, however, used to pursuade governments to increase government spending and run budget deficits to fight unemployment. The Keynesian model was professionally downgraded in the 1970’s because it could not explain the joint persistence of unemployment and inflation—in the US, the government was spending money at a highly inflationary rate while unacceptable levels of unemployment persisted. It was replaced by the so-called Chicago School model of macroeconomics, which is still with us today. But this theory was no less highly aggregated, with a single good and a single consumer, with the added idiocy of assuming all markets cleared instantaneously. It also introduced the notion of rational expectations, which means that individuals make plans for the future based on full knowledge of how the economy reacts to regulatory policy. I say “idiocy” not because people are irrational, but because the economy is a complex dynamical system and nobody, not even the experts who spend all their time studying the economy, can predict even the direction of the long-term effects of most regulatory changes on the position of individual economic actors. Evolutionary models of economic dynamics invariably assume adaptive expectations rather than rational expectations. Adaptive expectations assume individuals tend to copy the most successful behavior of others whom they observe in the market, with innovation taking place through random variation. In the popular press, free market lovers blame financial crises on government intervention, and intervention lovers blame financial crises on insufficient regulation. Neither view is correct. The recent financial crisis was due to improper regulation of the financial sector. The notion that the financial sector of a market economy is robust in the absence of extensive regulation is simply an article of faith unsupported by theory or experience. Evolutionary economists are working on a theory of the financial sector that fits synergistically with our models of generalized market exchange and technological change, but no general model has yet been developed. Economic Policy: Economic policy based on general equilibrium and comparative statics is very powerful and usually gives good advice. For instance, economists have shown that a carbon tax is the most effective way to control green- house gas emissions, a cigarette tax is the most effective way to reduce smoking, and an earned income tax credit is the best way to increase the wages of low-wage workers without increasing the unemployment rate. Some aspects of macroeconomic policy are also well informed by comparative static reasoning. For instance, preventing employers from furloughing or dismissing workers when demand for their products is low will lead employers to higher fewer workers when demand is high. The solution is to promote labor market flexibility by allowing a firm to choose its workforce freely, and to handle unemployment in a downturn with adequate unemployment insurance. Because the macroeconomic theory that deals with the business cycle, bubbles and crashes is so weak, there is chronic disagreement among policy makers as to how to manage these phenomena. It is easy to say, for instance, that in a recession the government should cut taxes and increase expenditure, and conversely in a boom. But the political process of cutting taxes (how is the reduction distributed among tax categories and across income groups) invariably takes years to decide and implementing expenditure (which projects, how are they financed, who receives the contracts) is even more drawn out. As a result, by the time the economy feels the results, we are most likely already well into the recovery period. The disagreement over stabilization policy will continue until economists develop a widely agreed-upon framework for economic dynamics. Evolutionary economics models of market dynamics are advancing towards this end, but it may be some time before a generally accepted theory emerges. One of the absurdities of modern political economy is the left-right split. Baldly stated, the right hates big government and progressive taxation, while loving markets, while the left hates big corporations and the rich, barely tolerates markets, and loves market intervention. 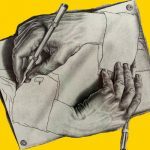 Of course, virtually all concerned parties admit that some minimal regulation is important, for instance to protect property rights, enforce contracts, and provide national defense, and there are few today who propose a wholesale scrapping of market competition in favor of ubiquitous state planning. However, given these caveats, the analysis of market regulation tends to be highly polarized in public discourse. Very visible public intellectuals who present themselves as knowledgeable in economics are similarly polarized, but their beliefs do not reflect the current state of economic theory. Indeed, they do not even reflect the state of economic theory when I learned it in graduate school many years ago. The left-right split is absurd because all successful economies are market economies with regulatory powers sufficiently strong to correct inherent market failures, and with large corporations run by wealthy individuals that are major contributors to the success of these economies. There may be other paths to successful economic performance, but none so far has emerged in the world economy, and there are no likely alternatives in sight. My goal here is to state some basic principles that, according to contemporary economic theory, can guide the analysis of when and where markets should be left to themselves, and when they should be regulated. The criteria I will use in evaluating regulation are simple: economic efficiency, dynamic stability, and social justice. These principles have been the bedrock of standard economic theory for half a century, and they are not in the least undermined by behavioral or evolutionary economics. Market Failure I: Increasing Returns to Scale Industries. In some goods, efficient firm size is so large that the best situation is to have a single firm, a monopoly, in the industry. Competition is thus precluded. For instance, water to a city may be supplied by a single reservoir and a unified system of delivery and waste removal. There is simply no room for multiple firms to compete, so the service is supplied by the government. Many municipal services are of this form. The problem can sometimes be handled by requiring firms to share the resource that accounts for increasing returns, such as railroad tracks or an electric grid. An industry can often thereby support several firms in competition. Market Failure II: Public Goods. Some goods are non-exclusive—they are consumed equally by many or all individuals (although they may be valued dif- ferently by different individuals), and no one can be excluded from using it. For instance, national defense protects all equally, whether we like it or not, and many public health measures affect the incidence of diseases, as well as air and water quality, for the entire population. Public goods must be publicly provided in most cases. Market Failure III: Externalities. Some goods are produced using technologies that release waste products into the environment at zero or low cost to the producer but that impose high costs on everyone else. Economic theory suggests that the costs imposed by these effluents be charged to producers, or in some cases that the release of effluents be prohibited by law (e.g., making it illegal to release chemical waste into a river or lake). Imposing a tax on effluents causes the producer to “internalize” the externality, economizing on it as with every other cost of production. Market Failure IV: Ensuring product quality. In many industries in which the quality of a product cannot be ascertained until after purchase, and in which reputation effects are not sufficient to ensure a minimum quality level, quality can be maintained only by legal regulation. For instance, most countries have health standards for restaurants and quality standards for hotels that prevent an upstart from profiting at the expense of consumers and the high quality firms. Similarly, professionals may be licensed (e.g., medical and legal services), and pharmaceuticals may be regulated for safety and effectiveness. Some free market libertarians hold that reputation alone is enough to ensure quality, but there is no support for such a notion in economic theory. Market Failure V: Non-marketable Goods. There are some goods that it is desirable to exclude from markets exchange for ethical reasons. One minimal requirement for a legal market in something is that it is permissible to own the thing in question. If it is illegal to own slaves, then there can be no market in slaves. If one does not own one’s children, then there can be no buying and selling of children. If child labor is illegal, then there can be no market in child labor. Jason Brennan and Peter Jaworksi, in their new book Markets without Limits, argue the stronger position that anything that can legally or morally be given away should also be able to be bought and sold. This would make markets in body parts and sexual services permissible, for instance. They may be wrong however. There may be things that are socially or morally undesirable that cannot be feasibly prohibited, but that can be kept at low levels by prohibiting market exchange. I learned about moral limits to markets many years ago as a graduate student in economics. Nevertheless, some pundits incorrectly criticize economic theory for ignoring this point—for instance Michael J. Sandel’s well-publicized What Money Can’t Buy: The Moral Limits of Markets. I do believe economists, who appreciate and perhaps exaggerate at times the attractiveness of market exchange, are more open to markets in some things than non-economists, however. For instance, most economists I know, including myself, believe that markets in recreational drugs and sexual services should be legalized and regulated. Market Failure VI: Social Justice. Market exchange does not guarantee that people will get what they deserve according to reasonable ethical principles. This fact justifies the governmental redistribution of income and wealth to meet the ethical criteria of voters when they elect their representatives. Of course, if voters do not have sufficient interest in social justice, then this market failure will not be solved through state action. The indication is that voters do care because every advanced market economy has a more or less strong system of income support, public health, poverty relief, and support for the aged. At least since the end of World War II economists have analyzed market failures in the terms described above. The recommended solution to market failure has always been the same: government intervention to replace markets or to regulate markets in the public interest. But why would anyone seriously believe that the government would actually do what is in the best interest of efficiency and justice? This belief, many years ago when I was a graduate student, was simply a precondition for admission to the inner sanctum of professional economics. I, on the other hand, found it about as reasonable as belief in reincarnation or flying saucers. I recall, as a young instructor at Harvard, attending a lecture by the great Keynesian economist James Tobin, delivered to an audience of thirty or so economics faculty. Tobin told us how countercyclical fiscal policy could easily handle an economic downturn. I raised my hand and asked a question. “I understand that the government can do this,” I said, “but why do you think it will do this?” Well, I could have stripped to my underwear on the buffet table and drawn fewer horrified looks from the senior professors than I did by asking this simple question. At that time, traditional economics just assumed a Beneficent State. It was not too long after that incident, however, that a group of economists inspired by the Chicago and Austrian schools, mounted a successful attack on the neoclassical model of economic policy, showing that there are forms of “state failure” that are just as pervasive and pernicious as “market failure,” because the incentives supplied by market competition were missing from the government sector. Politicians could make promises to get elected, but there was no way to turn those promises into contractual commitments. James Buchanan and Gordon Tullock’s brilliant The Calculus of Consent was one of the first, and one of the most powerful critiques of this type. As a result, by 1980 or so, most economists were learning in graduate school that there are important market failures, but because of state failures, in many cases the “cure” of government intervention is as likely to exacerbate as to ameliorate the problem. A proper analysis, therefore, must take into consideration the decision- making structure of the government, and a proposed intervention should prove its incentive compatibility on the governmental level as well as the market level. State failure is, if anything, more important in undermining economic performance than market failure. Especially in the absence of true democracy (majority-rule voting, separation of powers, freedom of press and assembly), crony capitalism and widespread corruption promoted by oligarchs can lead to very low-levels of economic performance. In some cases, a combination of market and state failure can be compensated for by strong community governance, based on principles of behavioral and evolutionary economics. It is a serious error to reject standard economic theory on the grounds that it supports a free-market ideology. It does nothing of the kind. Correctly deployed, it carefully explains where, how, and when to intervene in the regulation of market exchange. Evolutionary and behavioral game theory are wonderful additions to the economist’s repertoire, but they complement rather than undermine traditional public sector economic theory. The most serious defect in traditional economic theory is its treatment of economic dynamics, and it is here that behavioral and evolutionary theory has the most to contribute. Some criticize standard economic theory for failing to take into account that reliance on markets promotes selfishness and greed. The evidence from behavioral economics is quite the contrary. Even hunter-gatherers and members of other small-scale societies act more fairly if their society has significant contact with the larger market economy. And we must never forget that virtually every powerful pro-democratic, anti-racist and anti-sexist movement for social change in the world has taken place in market economies with democratic political institutions. Milton Friedman noticed this in his famous Capitalism and Freedom, and it remains valid even more a half-century later. Brennan, Jason and Peter Jaworksi, Markets without Limits: Moral Virtues and Commercial Interests (Routledge, 2015). Buchanan, James and Gordon Tullock, The Calculus of Consent: Logical Foundations of Constitutional Democracy (Ann Arbor: University of Michigan Press, 1962). Dhami, Sanjit, Foundations of Behavioral Economic Research (Oxford: Oxford University Press, 2015). Friedman, Milton, Capitalism and Freedom (Chicago: University of Chicago Press, 1962). Gintis, Herbert, “The Dynamics of General Equilibrium,” Economic Journal 117 (October 2007):1289–1309. , Game Theory Evolving Second Edition (Princeton: Princeton University Press, 2009). , Individuality and Entanglement: The Moral and Material Bases of Human Social Life (Princeton: Princeton University Press, 2016). , with Samuel Bowles, Robert Boyd, and Ernst Fehr, Moral Sentiments and Material Interests: On the Foundations of Cooperation in Economic Life (Cambridge, MA: MIT Press, 2005). Henrich, Joseph, Robert Boyd, Samuel Bowles, Colin F. Camerer, Ernst Fehr, and Herbert Gintis, Foundations of Human Sociality: Economic Experiments and Ethnographic Evidence from Fifteen Small-Scale Societies (Oxford: Oxford University Press, 2004). Does Behavioral Economics Support or Undermine the Welfare State? Economists Ignore One of Capitalism's Biggest Problems. Banks Create Money out of Nothing. The Invisible Hand is Dead!